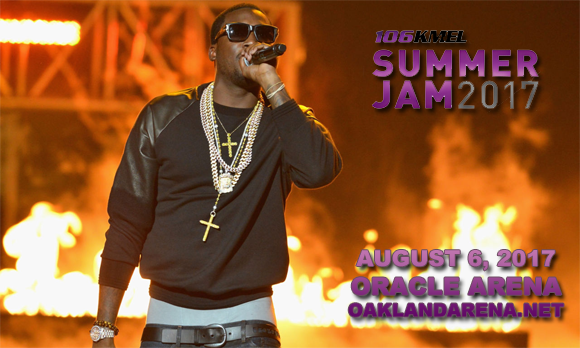 Things are gettin' hype as KMEL Summer Jam comes to Oracle Arena on Sunday 6th August 2017! The longstanding annual party is known for its killer lineups and this year is no different, with performances from Meek Mill, Yo Gotti, Omarion & Post Malone, so get ready to get down at the hottest show of the summer! Starting out as a battle rapper in the early 2000s, American hiphop artist Meek Mill found local success with short-lived rap group, The Bloodhoundz before becoming popular in his own right. Mill's first record deal was signed with Atlanta-based rapper T.I. In 2008, and he later sifgned with Grand Hustle Records before leaving in 2011 to sign with Miami-based rapper Rick Ross's Maybach Music Group (MMG). Mill released his debut studio album Dreams and Nightmares with MMG in 2012, and it debuted at number two on the U.S. Billboard 200.